The San Diego Padres and James Shields have reached an agreement on a four-year deal reportedly worth between $72 million and $78 million. 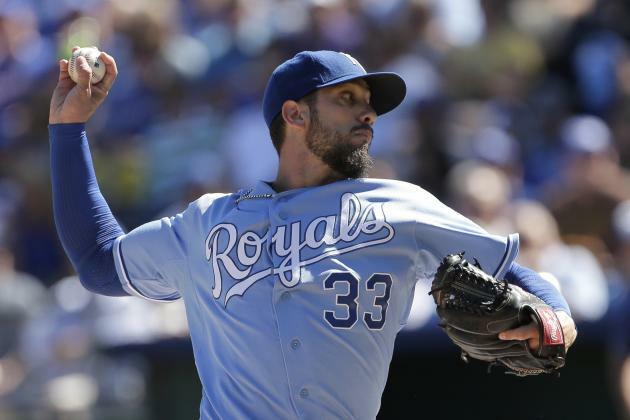 the deal includes an option for its fifth season and is contingent on Shields passing a physical. Over the weekend, the Padres became the front runners to acquire the services of the 33-year-old right-hander. The Chicago Cubs and Miami Marlins were said to have interest as well. Shields had indicated a preference for playing on the West Coast. Shields posted a 3.21 ERA over 227 innings in 2014 with the Kansas City Royals and will become the ace of the Padres staff joining Andrew Cashner, Tyson Ross and Ian Kennedy. San Diego GM A.J. Preller has completely overhauled the Padres roster this off-season. Earlier the team added Justin Upton, Matt Kemp, Wil Myers, Will Middlebrooks, Derek Norris, Brandon Morrow, Brandon Maurer, and Shawn Kelley.